Enjoy your coffee on the go! 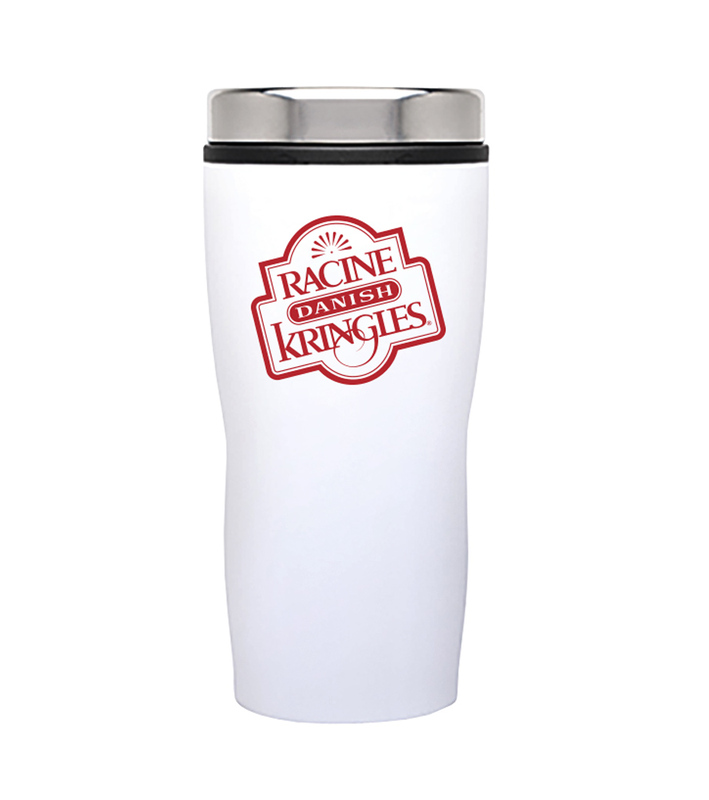 Carry a convenient travel mug with the Racine Danish Kringles logo. Easy to clean with twistable lid. The perfect way to show your love of the Wisconsin State Pastry! Travel Mugs are shipped USPS the following business day after ordering. Price includes shipping.